Why Have A Tiled Roof Conservatory? Home » Blog » Why Have A Tiled Conservatory Roof? Why Have A Tiled Conservatory Roof? A tiled conservatory roof isn’t really uncommon, they used to be a very rare find, but over the past few years, they are increasing in popularity amongst homeowners. What Is A Tiled Conservatory Roof? The typical materials used to create a roof for standard conservatories consists of UPVC and glass, many people are no longer finding these conservatories appealing anymore and are opting for expensive home extensions to make their conservatory look more like part of the home. But conservatories are one of the most cost-effective ways you can add extra living space and home resale value onto your home without spending hundreds and thousands of pounds. So they’ve started investing in tiled roof conservatories, but what benefits can tiled conservatory roofs bring to your home? Are they worth the money? Keep reading if you want to find out! Although the slight pitter-pattering of raindrops on the roof of a conservatory may give you slight comfort and put you into a nostalgic state, it’s not always ideal – especially when you’re trying to watch an intense scene in your favourite film. Because your roofing on a standard conservatory will be constructed out of UPVC, it is going to sound really loud during large downpours and storms. Also, heavy winds can also affect the noise level of your conservatory, if you sit in a car during heavy winds not only will you slightly feel the car moving but you can hear the strong winds battering your car windows. With a tiled roof conservatory, you are concealed from the noise much more, due to the durability of the tiles used on tiled roof conservatories they are able to withstand heavy rain pour and strong winds. If you work from home or often have to do a lot of working at home, then you may find it difficult to have something like a home conversion due to the disruption that it may cause to your life. This is one of the reasons that people often invest in any form of conservatories Milton Keynes as they are out of the way and do not affect any of the things going inside the home. Not to mention the fact that home extensions are not only expensive, but they also can continue for months on end. So with a tiled roof conservatory, you can have an extension onto your home that not only looks like part of your home but it is also cheaper, faster and won’t cause any disruption to you or your family. If you are thinking of selling and moving house then what a lot of people do is add conversions or things like double glazing Milton Keynes to increase the resale value to your home so that you receive more money to spend on your next home. Read this article on the best ways of adding value to your home for more information, after doing some extensive research we found that a conservatory that costs roughly between £5000 – £30,000 can add around 7% to the total value. So although this might seem like a costly process in the first place, it works out better off in the end when it comes to selling your home. Anyone who has a conservatory already can understand how difficult it can sometimes be to retain or lose the correct amount of heat or cold inside. Due to the materials conservatories are made out of it can be difficult to always keep them at the temperature you want as they can be affected by heat escaping. However, with tiled roof conservatories, you are able to reduce your energy bills and retain and change the temperature easier. Due to the fact that most heat from a conservatory escapes through the roof then our sturdy insulated tiles can make this process significantly more complicated. Heat rises so any warm air that is present in your conservatory during the warm weather will escape meaning that it is almost impossible to keep at optimum temperature. With tiled roof conservatories if you wanted to make sure that your conservatory is ultimately insulated then you may want to also consider roof insulation. 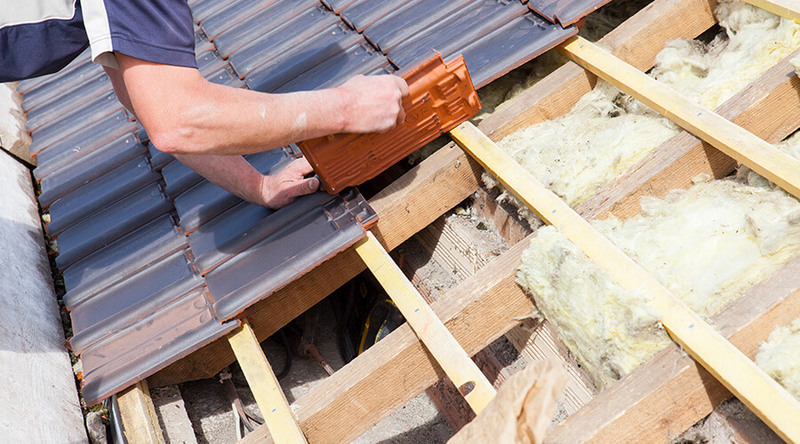 Roof insulation can be installed to your tiled roof conversion just like it would be in a home extension – this is often a popular option for customers and can help reduce your heating bills. A lot of people tend only to use their conservatory during the summertime when the weather is sunny and when their conservatory is warm – other than that they just use it as spare space. However, with a tiled roof conservatory, you can easily control the temperature meaning that it can we used as whatever you want whenever you want. Not only does it have a complete roof making it better for privacy but it stops any noise from bad weather etc so that you can watch a film in your conservatory whenever you want in complete peace. Over a period of time, the elements have the ability to damage things; this can be anything to brickwork, car paint and unfortunately conservatories. Due to their UPVC material, this means that after years of battling heavy winds and rainfall (frequent in the UK) they are going to look slightly tired and dirty. But our tiled roof conservatory can withstand the elements for much longer than a UPVC conservatory, meaning that it needs less frequent maintenances, cleaning and most likely won’t need any repairs! So there are some of the top benefits of tiled roof conservatories, they are more common now than they used to be and are relatively similar in price to a traditional conservatory – but the price could be dependant on size and whether or not you decide on having rood insulation. So if you’re interested in tiled roof conservatories then have a look at our website for more information on the conservatory services the Conservatories Double Glazing have to offer.